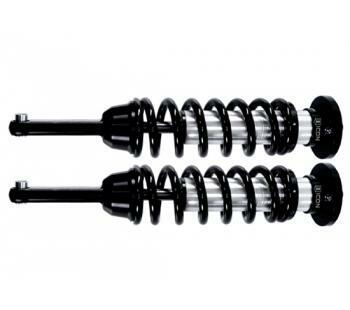 These coil-over shocks will bolt on to any Lifted Kit installed on to it. These shocks replace the supplied top load spacer/factory shock combination with a 2.5” Diameter Fine Tuned Race Style Coil-over. These shocks are built specifically Drop Down brackets and will increase performance, enhance ride quality and improve handling all at the same time to your lifted.